Smiles are universally recognized as a symbol of joy. Parents revel in the first smile of a newborn baby, friends greet each other with a cheerful grin, and newlyweds often describe their spouse's smile as being able to light up a room. Pay tribute to the emotion behind every smile with quotes from YourDictionary. You'll find that life is still worthwhile, If you just smile. A smile is happiness you will find right under your nose. A certain smile, a certain face, Can lead an unsuspecting heart on a merry chase.  A Certain Smile (1958), written by Paul Francis Webster and Sammy Fain. You put the smile on my face like the sunshine. A smile and a sword—the way to conquer kingdoms. 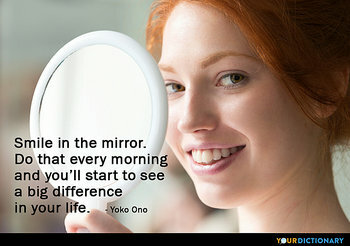 Many smile quotes reflect upon the importance of a positive outlook when you're faced with challenging circumstances. 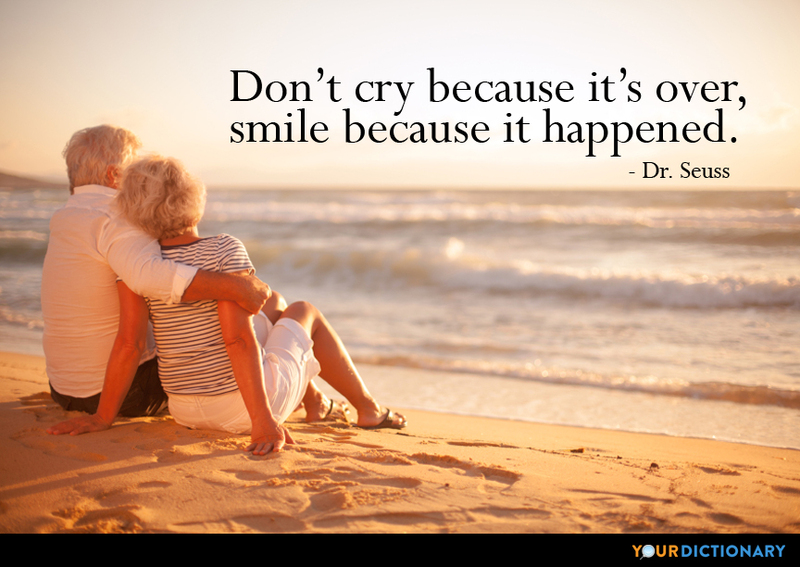 For example, children's book author Dr. Seuss said, "Don't cry because it's over, smile because it happened." This quote reminds us that all of our experiences, even the pain of loss, help shape the person we will become. Another common theme in smile quotes is how your positive attitude can help inspire others. Mother Teresa said, "We shall never know all the good that a simple smile can do." Smiles are contagious, so don't be afraid to spread the love! A random act of kindness accompanied by a few kind words and a heartfelt smile can be a simple way to make someone's day a bit brighter. If you don't feel like smiling, many people believe you should adopt a "fake it till you make it" attitude. This view is actually supported by science, which suggests that the physical act of smiling can influence how you feel. When you're having a rough day, take some advice from noted author and poet Maya Angelou. " If you have only one smile in you give it to the people you love," she said.